October | 2015 | HowDoYouLandscape? The chair of Landscape Architecture of the Faculty of Architecture and Oerol have worked together for a couple of years already on the theme ‘Sense of Place’ of Oerol . This year the theme was enriched by a cooperation with Bird Life Netherlands in the project ‘Polderpracht Terschelling’.Other important themes are coastal dynamics and climate change. But first of all it is a study project in which 15 students of different disciplines learn about the Dutch landscape and landscape design from a scientific background. Due to the nature of the project, the group also learns how to cooperate, plan, realise and present a design project for 5000 visitors, and about fields related to an artistic project like visual arts and theatre. Teamwork and individual work are used together to generate a range of ideas. In the 2nd half of the project the emphasis is on teamwork and making choices that everyone can agree with. 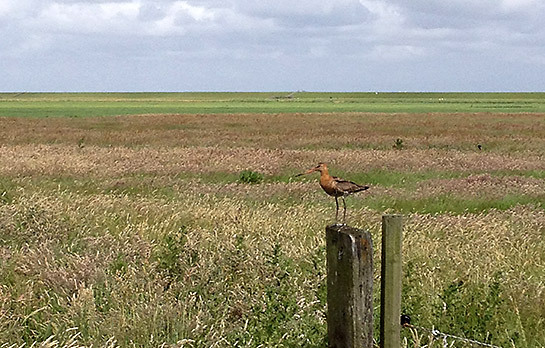 For Birds-I-View three main themes have been put forward: meadow birds, the Terschelling Polder and climate change. To highlight all aspects as balanced as possible, we followed two tracks: the Oerol project, an artistic, interactive installation that communicates an idea or vision on meadow bird related issues, as well as examining the landscape of the Terschellinger Polder and create a design for it. Both tracks run parallel and influence and enrich each other. Within the course, the role of individual students has been re-defined continuously in order to have the maximum of knowledge and skills of individual group members available for the team. This group work represents the situation where the designer operates in, a multidisciplinary team trying to agree on goals and how to achieve them. Learning to discuss ideas in a constructive spirit is essential in this process; looking for similarities rather than differences, possibilities instead of limitations. The result is a project that evaluates the human impact on nature, but also interdependencies between humans and nature. We see the landscape of the island as a large construction site, where man in the course of centuries has modified nature through various interventions, creating a constructed landscape, with positive and negative consequences. Meadow birds are attracted to the agricultural grassland habitat in the polder made by man , and now that they are there, we have a responsibility for them. Do we continue with profit maximization at the expense of meadow birds, or do we protect them at the expense of our profit? A question regarding the future is linked to this; do we prevent the polder from getting lost for agriculture by sea level rise and salinization, also causing grassland birds to disappear? And in what way? With these ingredients the group conceived a dynamic structure, which deformed and moved under the influence of choices visitors made and where they during participation in the transformation process gained insight into their choices and the consequences for their environment. 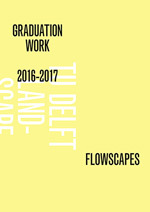 The chair of Landscape Architecture of the TU Delft cordially invites you for the opening of the exhibition ‘Institute of Poldering’ on Thursday, November 5, 2015, where we will look back at the project and forward to the next move. We will also proudly present a booklet describing the project, from the first steps on Terschelling to gathering information, discussion, generating design ideas, realisation and running the project. The exhibiton takes place in BK expo, the exhibition space of the Faculty of Architecture in the east wing. The exhibition can be visited from November 5 – 19, 2015 during regular business hours.